Established in 2000, Herbalceutical (M) Sdn. Bhd. has been in the market for almost 17 years, impacting lives and spreading good health all around. This dynamic company was founded by a professional Chinese herbal practitioner who passionately developed health supplements for the purpose of improving public health and helping those with weight problems. At present, the core business of the company lies in manufacturing, developing and distributing a wide range of pure herbal based health supplements. Today, the company’s superior brands – NH Detoxlim and M-Herbs have a strong edge in the local market. The safety and efficacy of the company’s products have made them trusted brands with consumers over the years. The breaking sales records of NH Colla Plus are testament to the support by consumers. Made from 100% organic oat bran powder and omega-3 powder extracted from algae. Amount of beta-glucan recommended for cholesterol-lowering effect is 3g per day. FSQD, MOH. Guide to Nutrition Labeling & Claims(as at Dec 2010). Made from 100% organic oat bran powder and omega-3 powder extracted from algae, NH Nutri Oats is a healthful drink for maintaining healthy cholesterol levels. It also contains puffed black bean powder, giving the drink a great taste and making it an easy daily beverage. 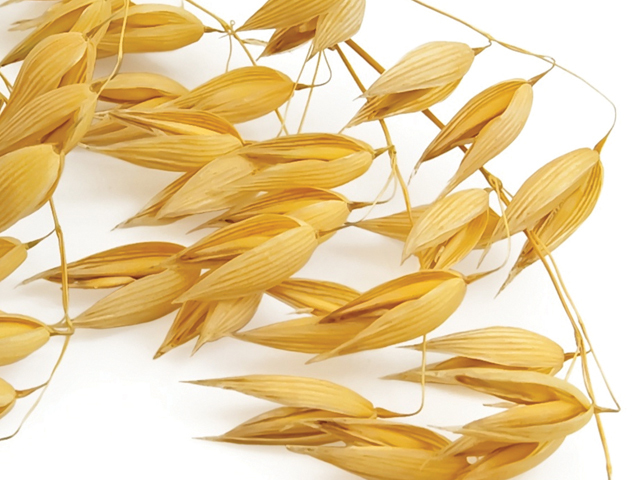 • A soluble fibre found in oat grains. • Its health claim on cholesterol-lowering has been approved by the Health Ministry Malaysia, the US FDA (Food & Drug Administration), EFSA (European Food Safety Authority) and FSANZ (Australia New Zealand Food Standards). • Slows down the digestion rate of carbohydrates for a stable blood glucose level and helps relieve constipation. • Its benefits in maintaining heart health has long been acknowledged by the US FDA and EFSA. 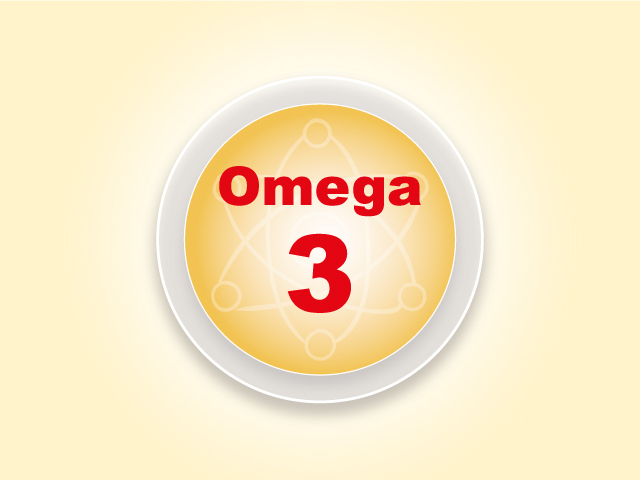 • In 2010, EFSA approved statements that omega-3 fatty acids (DHA) help contribute to the maintenance of normal blood triglyceride levels. Triglycerides are a type of fat in the blood which, in high levels can cause heart disease. • Helps lower the growth rate of plaque that clogs blood vessels. Also, beneficial to the health of eyes and brains. A shaker is recommended for optimum mix and taste as NH Nutri Oats is produced in the form of fine powder. Alternatively, stir in a mug. Take it before meals. Drink sufficient water throughout the day for optimum results. 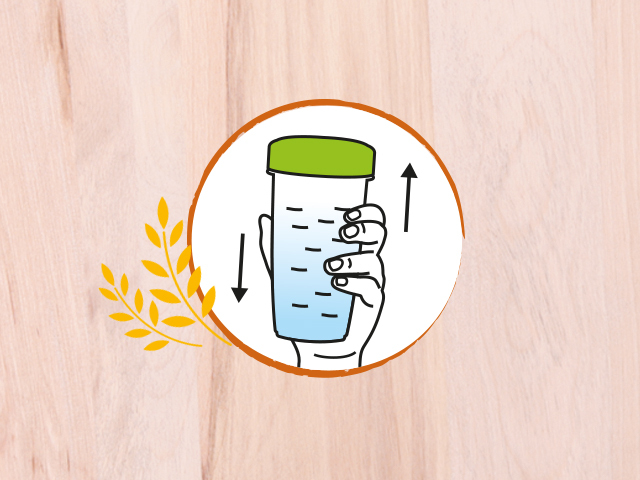 1.Fill the shaker with cold / warm water or your favourite drink (about 250ml, strictly no hot water). 2.Pour in 2 scoops of NH Nutri Oats. 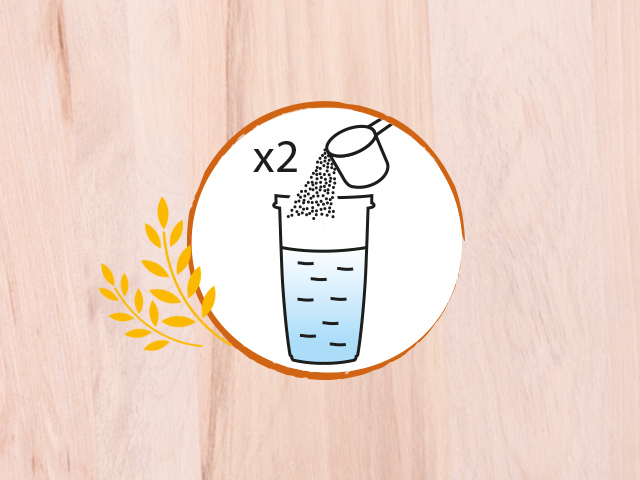 3.Shake well until fully dissolved. Drink after preparation. 1) I have high cholesterol levels, how often should I take NH Nutri Oats? If your cholesterol levels are particularly high, we recommend you take 2 scoops twice daily, before breakfast and dinner for about 4-6 weeks. Once your cholesterol levels have stabilized, continue with 2 scoops once daily. 2) Is NH Nutri Oats beneficial to diabetics? Yes, NH Nutri Oats is helpful for diabetics as it helps slow down the digestion rate of carbohydrates for a stable blood glucose level after meals. What’s more, it has no added sugar. 3) How soon can I see improvement in my cholesterol levels? By taking NH Nutri Oats daily, along with a diet low in saturated fat and cholesterol, improvements can be seen within 8 to 12 weeks. Consistent consumption is highly recommended to see significant improvements as well as for lasting results. 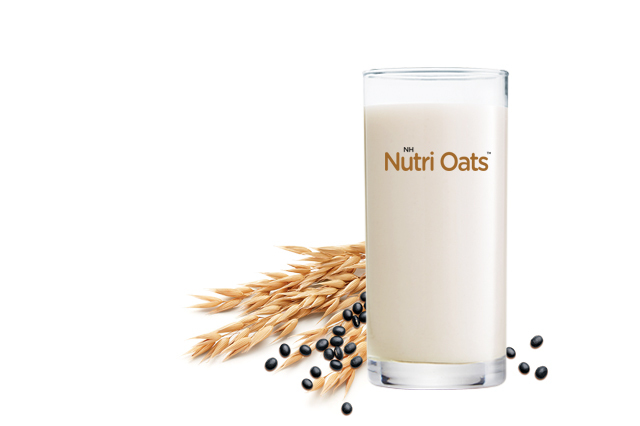 Why Choose NH Nutri Oats? 1. It combines 2 heart-loving ingredients:oat beta-glucan and omega-3 fatty asid (DHA) in a single serving. 2. Its organic oat bran powder is made using a highly refined process to ensure the maximum release of beta-glucan for optimum cholesterol-lowering effects. 3. The addition of puffed black bean powder enhances the drink’s taste and gives it an aroma of puffed grain. 5. Free from yeast, preservatives and food additives. 7. 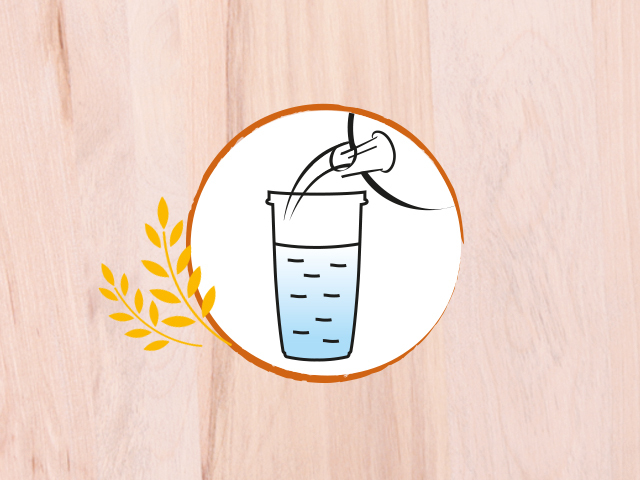 Possesses good solubility and gel-forming ability in water.